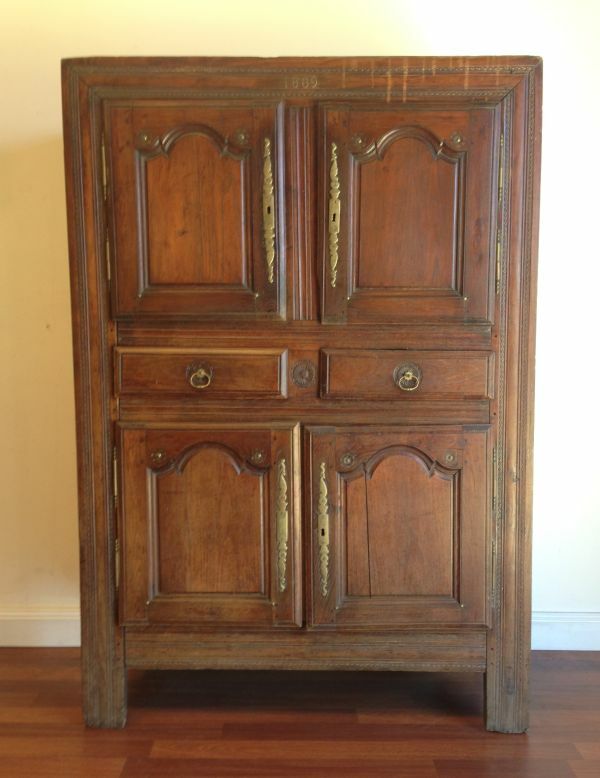 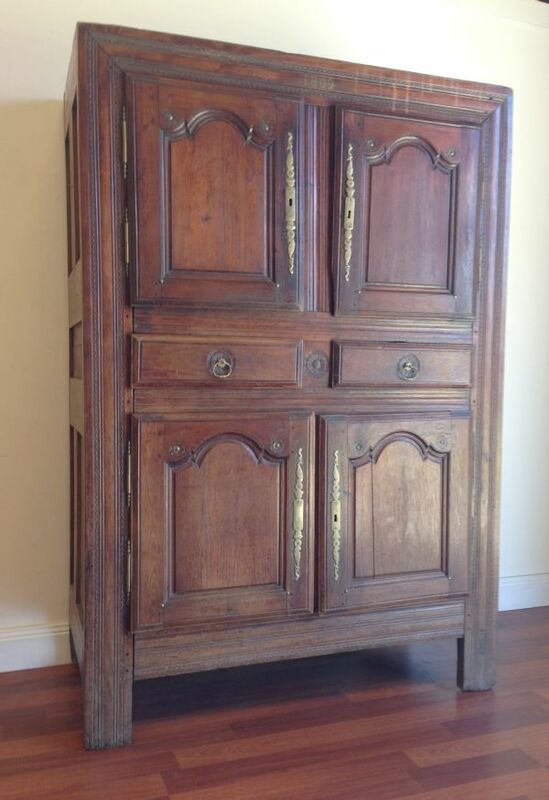 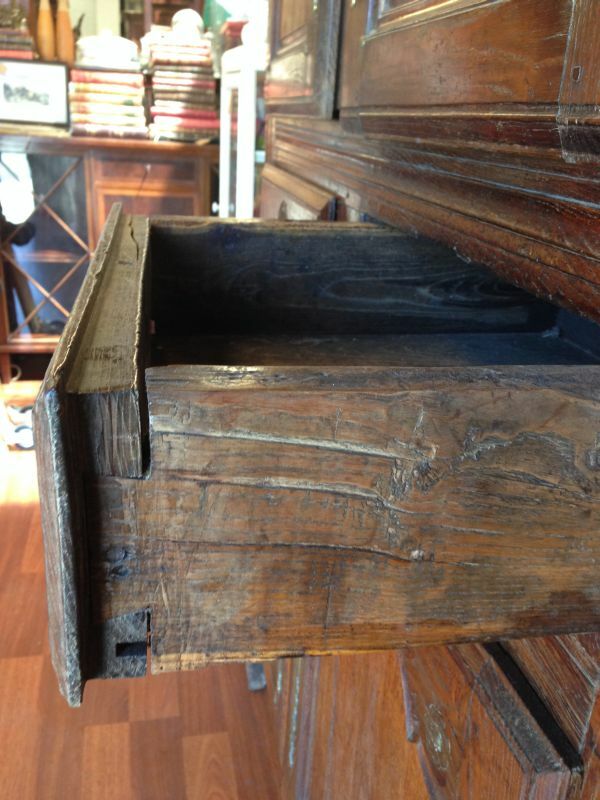 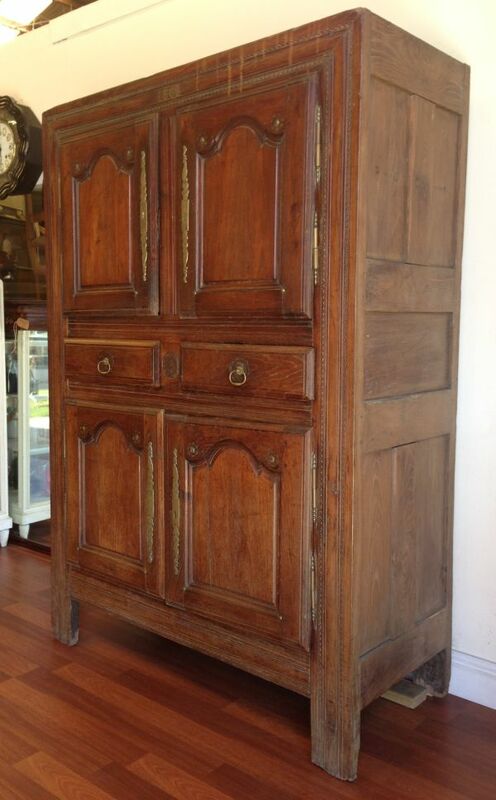 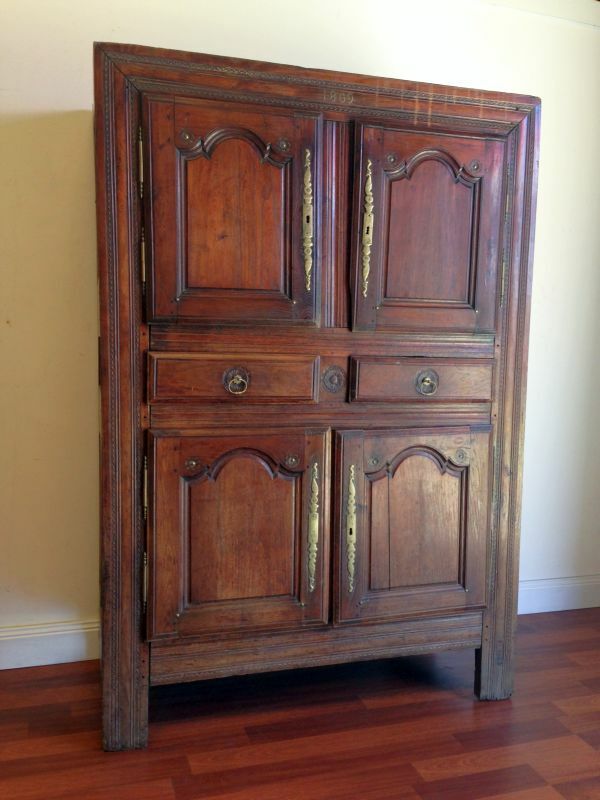 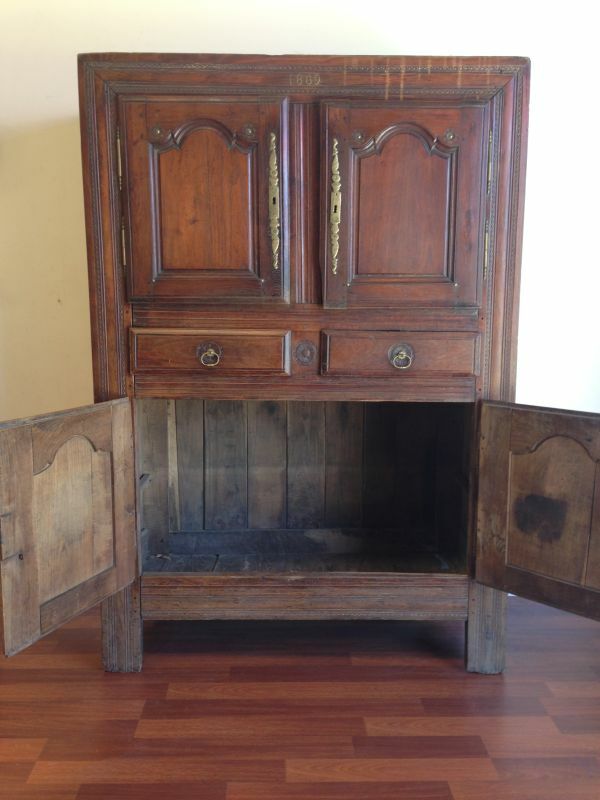 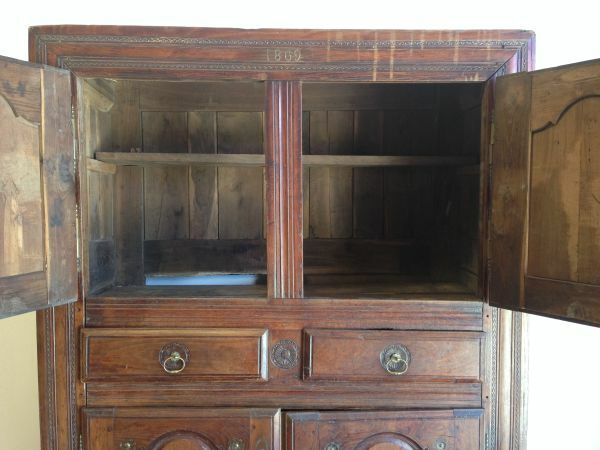 This beautiful and very rustic antique walnut armoire cabinet was found recently in France. 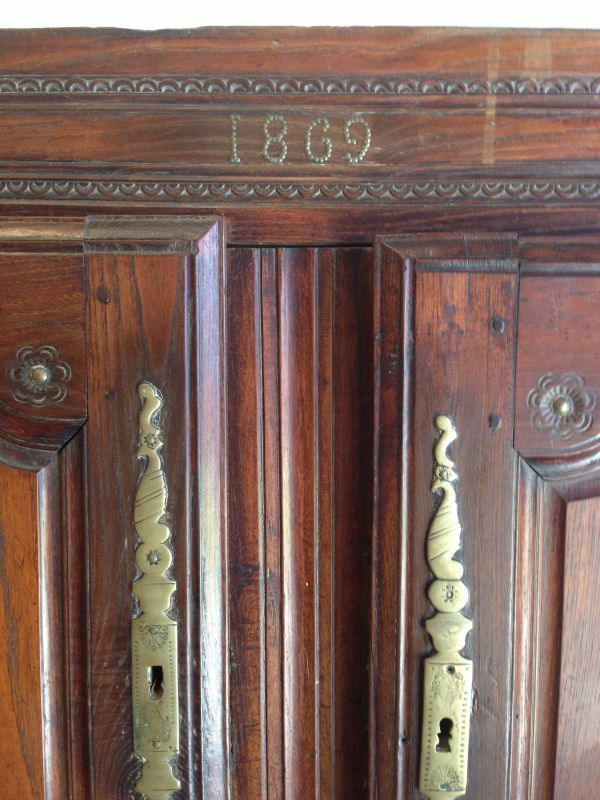 It has the date 1869 brass studded at the top. 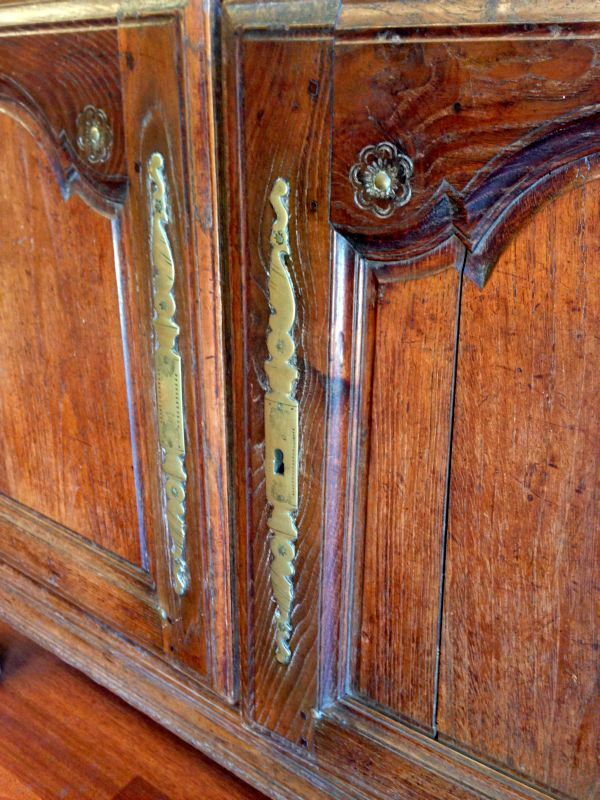 The hinges and escutcheons are brass and the old warm walnut patina is superb. 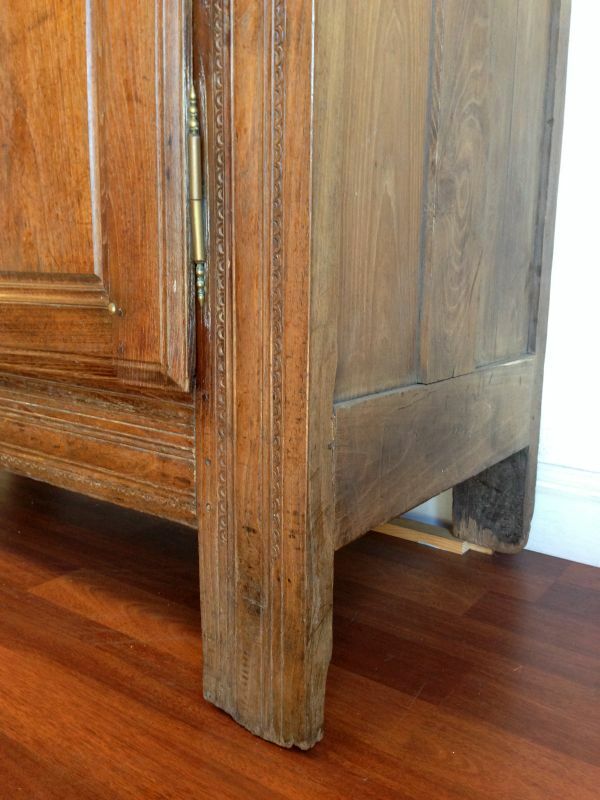 The back legs are a little shorter than the front so it needs levelling.